Turn the key on for about a minute before starting (this heats up the O2 so you can trust the reading immediately at start). Then start the engine while watching the ACTUAL AF RATIO. Adjust the CTS correction as required to keep the AF at about 13:1 during warm up. CTS correction must go to ZERO for closed loop to work. - IAC should be set near 100 at startup. Depends on the size of engine and injectors. 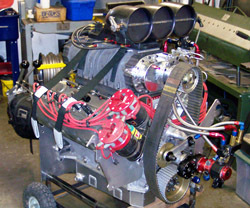 Smaller engines with large injectors like more. - AX TPS for idle should be 2% assuming you calibrated the TPS which you must do. - Throttle follower MUST START AT ZERO or it will hold the IAC open at idle. VE is a steady state adjustment. You have to ignore accel and decel If it hunts and pecks even though you got everything else filled out correctly then you idle P and D values are not right. I would start there with 32 in the P and 8 in the D this works well with most cars if you have the idle screw and throttle follower set up properly. AE fuel set to -2 or -3.
but you wont see the old ones as they will be over-written by the new numbers. - Using the "G" key to see a 3D version of the VE table really helps to smooth things out. - Using the "L" key during closed loop tuning to help select the correct VE value in real time. IAC Status – A numeric code that gives information about the operation of the IAC controller.